Independence of the justice system is one of the key areas by which we can assess contry’s resilience to corruption or successful prevention or combat with corruption. 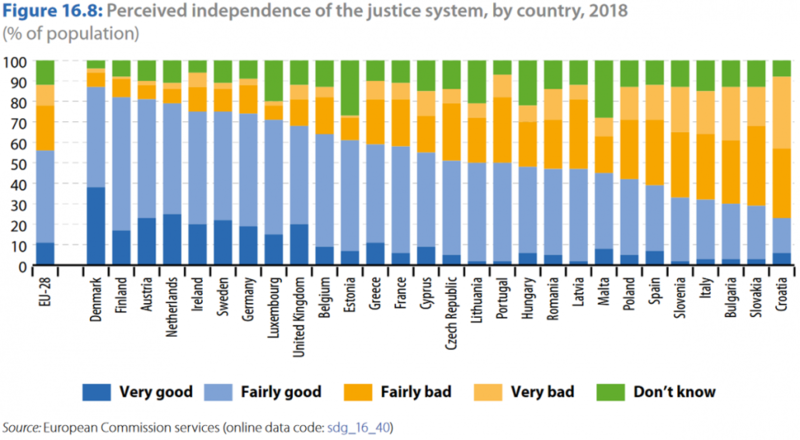 Judging by the data for 2018 on the perceptions of the independence of the justice system it is not surprising that Croatia takes the last position among the EU countries. Recently published Country Report Croatia 2019 (2019 European Semester: Assessment of progress on structural reforms, prevention and correction of macroeconomic imbalances, and results of in-depth reviews under Regulation (EU) No 1176/2011) stated that “Concerns about judicial independence remain“ and that „Corruption is perceived to be widespread“. Completely contrary to Croatia, Austria marks great perceptions and is among the three best EU countries. Between 2012 and 2017, slightly more than half of the EU Member States (16 countries) improved their CPI score, both Austria and Croatia among them. 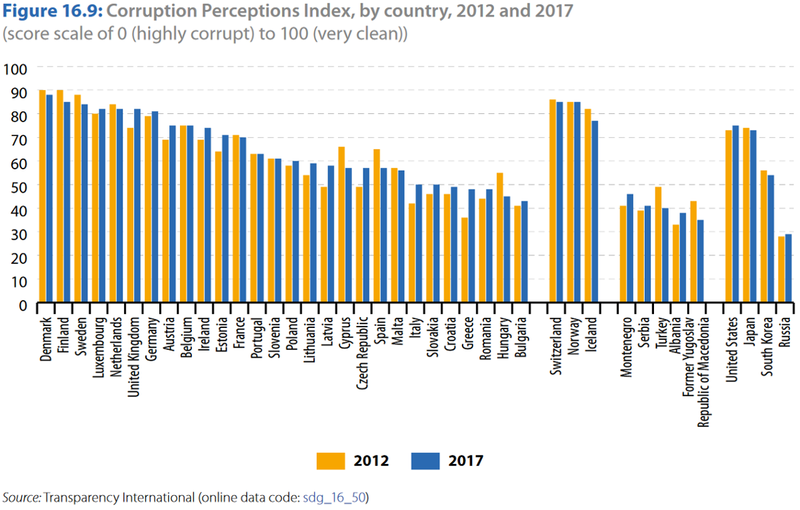 However, this indicator also shows that the perceptions are far worse in Croatia than in Austria. For the last 10 years, we have implemented most of the recommendations of UNGC and GRI. We actively endorse organizations and bodies that promote anti-corruption activities and participate in their anti-corruption initiatives. Developing policies and programs to effectively address all forms of corruption. Collaborating with relevant public and private stakeholders to promote transparency and a zero tolerance approach to corruption and bribery. Understanding anti-bribery and corruption governance expectations from stakeholders and prohibiting bribery in any form whether direct or indirect. Demonstrating a zero-tolerance approach to corruption and bribery at top management and leadership levels. Being aware of any improper advantage, for example when it comes to obtaining or retaining business. Adopting adequate internal control, ethics and compliance programs and measures for preventing and detecting bribery. Communicating the implications of relevant laws to employees through policies and trainings. Conducting a periodic and meaningful anti-corruption risk assessment. Recording all incidents of corruption or bribery, and putting processes in place for resolution and remediation. Implementing whistleblowing helplines or processes for employees to report (suspected) incidences anonymously. 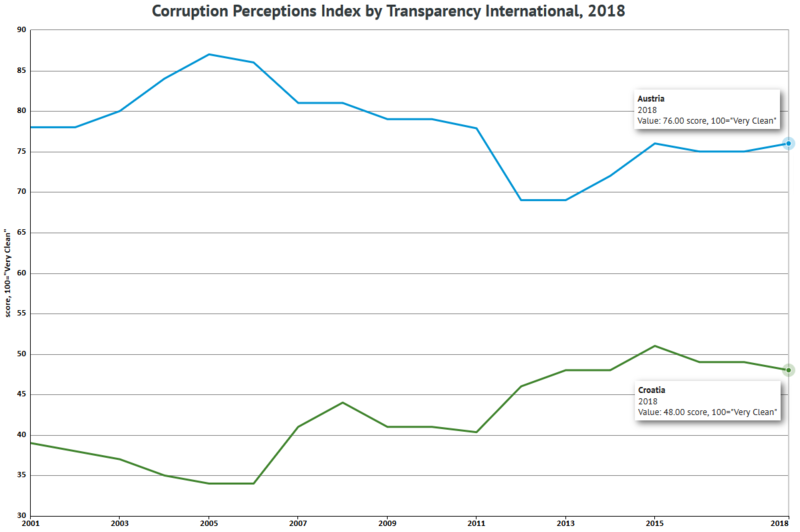 Disclosing ultimate beneficial ownership, as well as internal measures to combat corruption and bribery, such as internal training, and the number of incidences/number of resolved incidences. Requesting suppliers to engage in the above practices, and ensuring that anti-bribery and corruption measures are in place during the procurement process and in supplier due diligence and codes of conduct. Ensuring transparency and traceability and working together with peers and other stakeholders to avoid bribery and corruption taking place anywhere in the supply chain.